The bernette 38 is the top model in the bernette series. This computerised sewing machine offers a wide range of functions at an affordable price – leaving nothing to be desired. It offers 394 different stitches, including the stretch stitch for elastic fabrics. This means you can create fantastic T-shirts from jersey fabric, for example. The bernette 38 also has eight different 1-step buttonholes and three alphabets. In addition, it has a memory function, via which you can store various combinations of patterns and access them again at a later date. The bernette 38 has a useful speed regulator, which can be adjusted on the display. 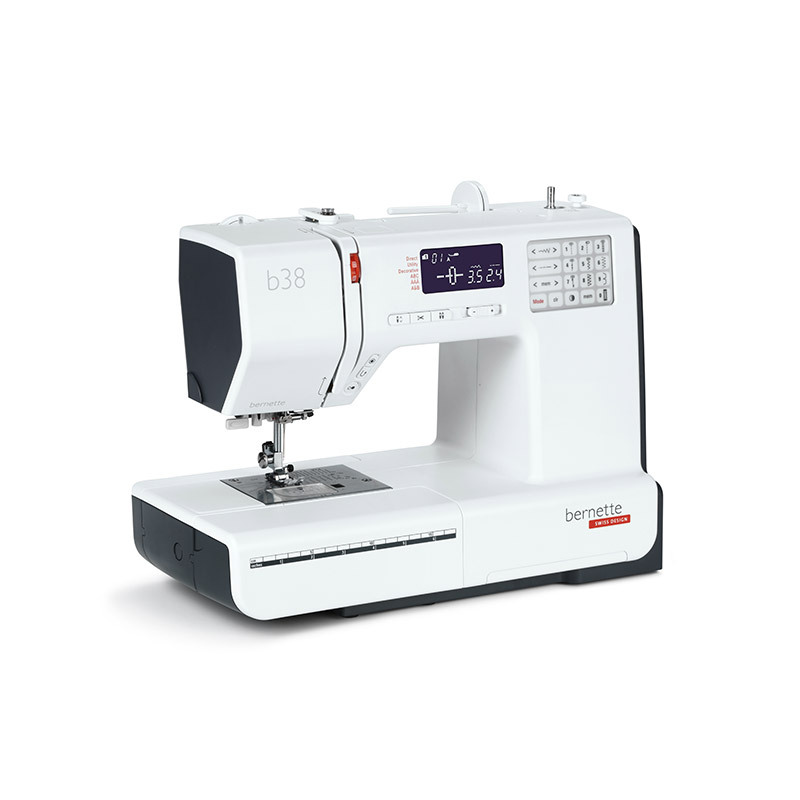 As the top model, this impressive sewing machine also has a bright LED sewing light, a threader and both an automatic and a manual thread cutter. bernette purchases include a Mybernette class at Modern Domestic and first-year machine service. Contact us for more information. Experience the Bernette London 7 TODAY!